God has made a wonderful and beautiful world! From coast to coast and sea to sea you don’t have to travel far to behold it’s wonders. Sharing about this treasure a beautiful way to showcase how much God cares and the amazing things he has created and enabled man to create just for us. Joy Budensiek felt the call to help parents share about God to their children with her By the Way Book Series. 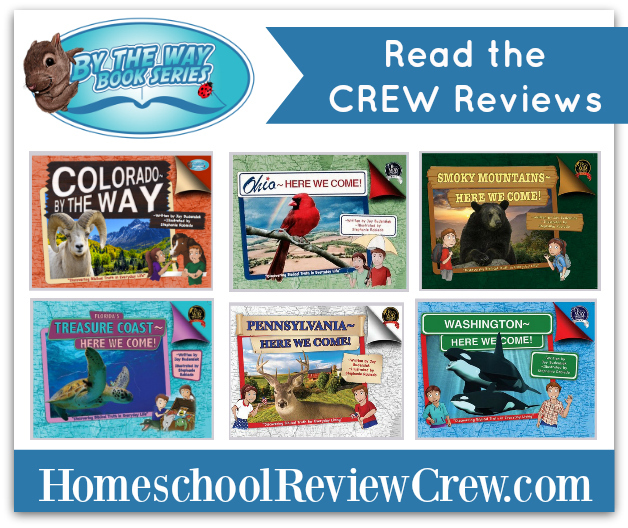 The Homeschool Review Crew were recently able to review some titles in this ever expanding collection. The By the Way Book Series is a set of geographically based books that give a Biblical Worldview, interesting facts, and an exciting look at various places around the globe. Each book contains scripture and discussions of God and in relation to His amazing creations. The By the Way Books are hard covered with full color pages that feature artwork and photographs to accompany the characters in the book as they take a tour through the featured area. Joy Budensiek’s goal is to write 100 such books, beginning with the 50 United States, and she’s off to a good start. Ireland and New York are scheduled for release this April. Thank you Kemi from Homemaking Organized for writing this anchor post.